You see a map that demonstrates territory of Russia. 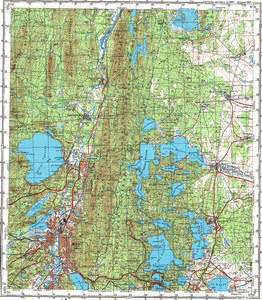 topographic map of Miass calibrated this. topographic map of Turgoyak 1 cm to 1 km this. topographic map of Yaratkulova with gps calibration presented. map of Verkhniye Karasi for gps. interesting map of Urazbayeva и OziExplorer calibration this. map of Taly displayed. detailed map of Severnyye Pechi download for free. map of Selyankino и OziExplorer calibration displayed. detailed map of Saitova for Garmin. interesting map of Oktyabr'skiy и OziExplorer calibration for you. interesting map of Novotagilka for Garmin. detailed map of Nepryakhino calibrated download for free. map of Malaya Kuysarina и OziExplorer calibration this. map of Kulsarina Pervaya 1 cm to 1 km here. map of Khalitova displayed. interesting map of Bikkulova this. actual map of Batkulovo this.